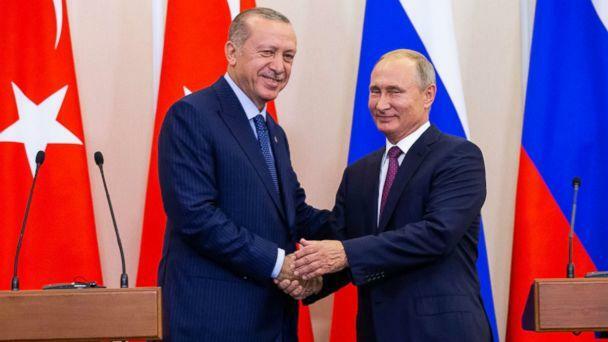 “I'm not suggesting that Turkey can't be trusted, but I am saying that you take another risk with your system -- with what is probably our most sensitive technology," said Gen Curtis Scaparrotti, NATO Supreme Allied Commander and the head of U.S. European Command. 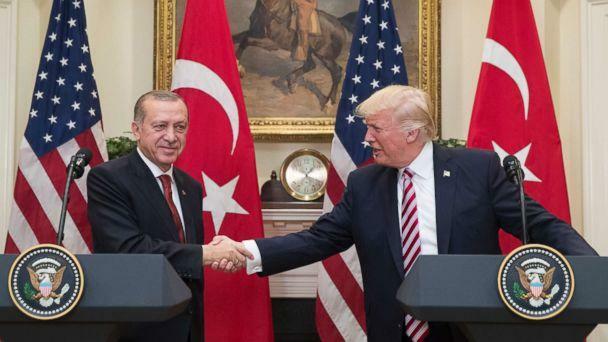 Turkish Foreign Affairs Minister Mevlut Çavuşoğlu hinted at the mixed messages coming from the administration on Wednesday when he claimed that during the same phone call, Trump promised Erdogan he "would take care of the issue." U.S. officials have warned Turkey that they would cancel their order of 100 F-35 U.S. fighter jets, but Çavuşoğlu said they're not concerned because of assurances from Trump. "Different statements are coming from different institutions of the United States as well ... different and contradictory statements are coming," Çavuşoğlu said at an event to celebrate the 70th anniversary of NATO in Washington on Wednesday. "Trump admitted himself on the phone that the U.S. made the mistake not to sell Patriots to Turkey and he promised Erdogan that he will take care of the issue," Çavuşoğlu said at the NATO engages event on Wednesday. "And he's the President of the United States. ... He promised that he will do his best to resolve this issue." The U.S. has offered to sell Turkey the American-made Patriot system, but Çavuşoğlu said at the Atlantic Council that they couldn't get it for 10 years, according to the Associated Press.